Welcome to the new season of Peralta Matters! This month’s episode features our new Chancellor, Jowel C. Laguerre, Ph.D., discussing his welcome to the District and our community. OAKLAND, Calif., June 24, 2015 – At its final meeting of the fiscal year, Tuesday, June 23, 2015, the Board of Trustees of the Peralta Community College District voted unanimously to approve the employment contract of Jowel C. Laguerre, Ph.D., to serve as the next Chancellor of the northern Alameda County college district. 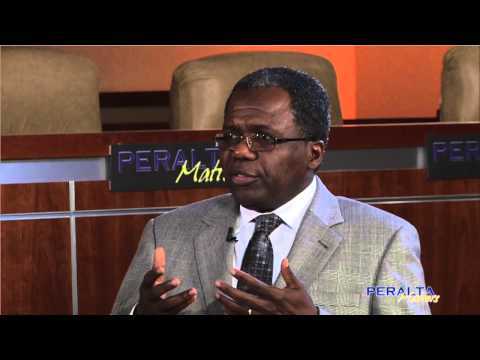 Dr. Laguerre will begin his three-year term as Peralta’s Chancellor on July 1, 2015. His base salary is $305,000 annually. 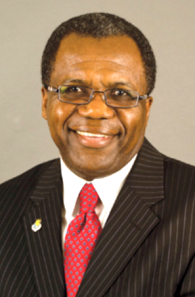 “The Peralta Community deserves the best in all of us that are entrusted with its governance and operations and Dr. Laguerre brings a wealth of experience to the position and has demonstrated his leadership skills as the Superintendent-President of Solano Community College District,” President Brown said. “Dr. Laguerre is uniquely qualified to lead the Peralta Colleges in the coming years, and the Board and I look forward to working together with him to address the achievement gap, completion rates and other important issues facing our community’s students,” President Brown added. “I look forward to being an integral part of, and contributor to, the communities served by our district,” Dr. Laguerre added.